Subscribe to our newsletter! 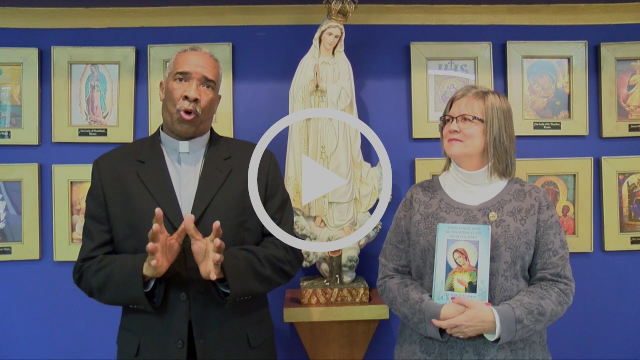 Receive the latest news from Live Fatima. Receive updates on Our Lady’s Tour in Memphis straight to your inbox! CONFERENCE DAYS WILL INCLUDE: Teachings about the Flame of Love Movement by Anthony Mullen, teachings on the Flame of Love Rosary and Prayers, Healing Services and Mass and Confession. are recorded in the Spiritual Diary handwritten by Elizabeth at the request of the Lord Jesus. The Flame of Love Movement has received the Apostolic Blessing of Pope Francis. 4851 Park Avenue, Memphis, TN. 1169 Kerr Avenue, Memphis, TN. LOS DIAS DE CONFERENCIA INCLUYEN: Enseñanza del Movimiento de La Llama del Amor por Anthony Mullen, enseñando la Llama del Amor en el Rosario y la Oración, servicio de sanación, Misa y Confesiones. El origen de los mensajes de la Llama del Amor en la Revelación de Nuestro Señor Jesucristo y la Santísima Virgen María a Elizabeth Kindelmann, entre los años de 1961 y 1982. Estas revelaciones fueron grabadas en el diario espiritual escrito a mano por Elizabeth como una peticion de Nuestro Señor Jesús. “La Renovación de la Tierra tomara lugar mediante el poder y la fuerza de la suplica de la Santísima Virgen María”. Go to: http://livefatima.org/tour-schedule for Tour Schedules. Hundreds of Roman Catholics came to Mokena Tuesday to view the statue of Mary, the mother of Jesus, known as Our Lady of Fatima, on display at St. Mary’s Church. The statue, known as the Pilgrim Virgin Statue of Fatima, is on a two-year U.S. “Tour for Peace,” to commemorate the 100th anniversary of when Mary appeared to three young children in Portugal, according to Patrick Sabat, the statue’s custodian. 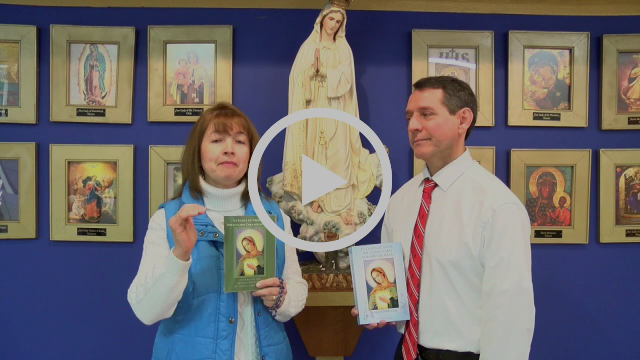 Veneration of Mary’s Statue, Why Do We? Veneration of Mary – Throughout the history of the Church, God has provided special images that reveal sensible evidence of His presence and the intercession of Our Lady and the saints. Our Lady of Guadalupe is a prime example: an image given to the Church in a miraculous way. The Pilgrim Virgin images are also very special for several reasons. Our Lady is very concerned about her Message of Fatima spreading throughout the world, and as Pope Benedict pointed out the Pilgrim Virgin Statues are the primary way this Message is being spread. The Pilgrim Virgin Statues were commissioned by the Bishop of Fatima expressly for this purpose. Pope Paul VI blessed our National Pilgrim Virgin at Fatima for the 50th anniversary of the apparitions in 1967 in order to spread this important Message. There are many examples of God performing miracles of healing and other miracles for people who pray with faith before certain special images of Our Lord, Our Lady and the saints. The miracles are in response to genuine faith in the power of God and in the power of the intercession of Our Lady and the saints. Our Lord gave us the Image of the Divine Mercy through Sister Faustina with the promise that those praying before this Image will receive special graces. The Miraculous Medal also comes to mind, and the Green Scapular, both of which have many authentic stories of conversions and healing when used with faith. There are also credible stories of spiritual and physical healing through veneration of the Pilgrim Virgin Statues. Our National Pilgrim Virgin is especially attractive and many, including me, say they feel Our Lady’s presence in a special way when praying in front of this Image. 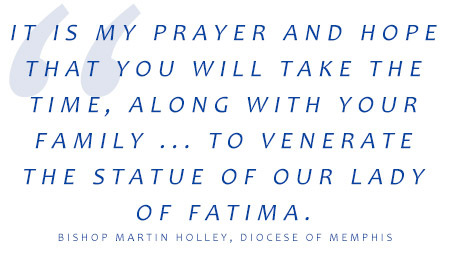 Posted in Our Lady of Fatima | Comments Off on Veneration of Mary’s Statue, Why Do We?